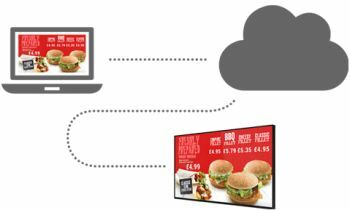 Updating your screens is extremely simple; connect it to your network using the integrated Wi-Fi or using an Ethernet cable. 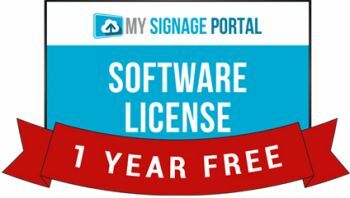 Login to www.MySignagePortal.com to choose from a library of templates, upload your own media, manage playlists, create your own templates and schedule content for whenever you want; giving you complete control over your screens. No special software installation or dedicated PC is required, you can update your screens from anywhere in the world with an internet connection. 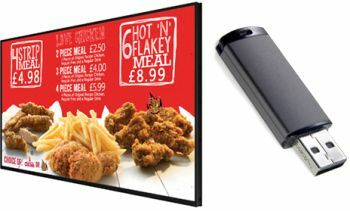 Browse and choose from our exclusive library of Digital Signage templates. Within each predesigned template you get the original media files, template layout and playlist. 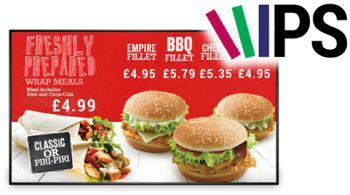 You can customise each of these to just how you would like. You can add your own branding, images or videos. Change the font size or colour. The template are fully adaptable to your needs. 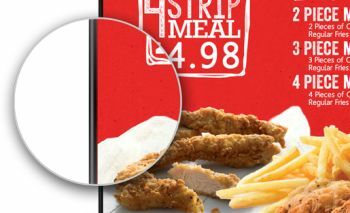 The screen can be used in either a landscape or portrait orientation depending on your requirement..
You can synchronise your Digital Menu Boards across multiple screens provided they are connected to the same network. 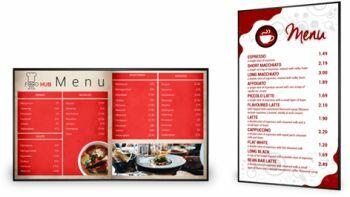 This is ideal for menus above the counter.. Allows for reduced power usage by automatically powering off in hours that the displays are not required. 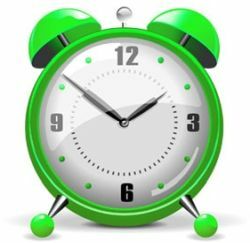 You can set daily On/Off times for your displays.